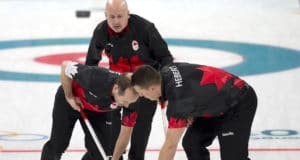 By Ian Ford New Zealand Curling Media Officer NASEBY, New Zealand – Jennifer Jones and Brent Laing claimed the gold medal for Canada in the Audi quattro Winter Games NZ Mixed Doubles curling tournament in Naseby early on Thursday. 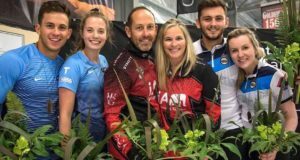 They beat Scotland’s Jayne Stirling and Fraser Kingan 9-5 in the final. 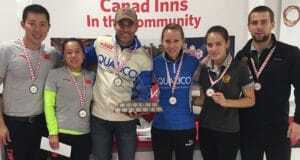 The action intensified as playoffs loomed on the final day of round robin pool play at the 2018 Canadian Mixed Doubles Curling Championship in Leduc, Alta., and when the dust settled, the youngest team in the competition was sitting in first place overall. 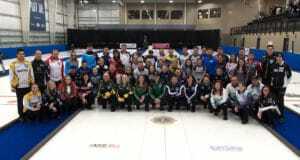 The Canadian Mixed Doubles Curling Championship kicked off on Wednesday evening, with 32 teams taking to the ice at the Leduc Recreation Centre in Leduc, Alta., attempting to win the national title and represent Canada at the World Mixed Doubles Curling Championships in Östersund, Sweden. 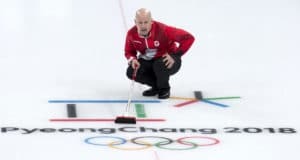 By Kevin Koe (Team Canada skip) I’ve been playing so many years to get to the Winter Olympics, and now that I’m here, I’m seeing things differently on the inside of the Games. 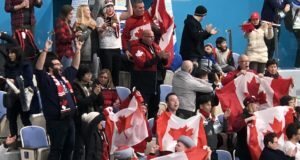 By Marc Kennedy (Team Canada men’s team vice-skip) We were waiting for this morning for a long, long time, ever since winning at the Trials in December, and it was exciting — definitely exciting! 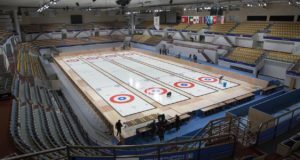 Canadian curling fans will have one more team to cheer for when the 2018 Winter Olympics get underway on Friday with the opening ceremonies in Pyeongchang, South Korea.